UPDATE: This article has been updated to reflect the results of the US Search Awards ceremony on November 8, 2017. LAS VEGAS, NV-November 8, 2017- Gruen Agency was honored at the fifth annual US Search Awards on Wednesday, November 8, in Las Vegas as we were named Best Small Integrated Agency. The US Search Awards is a competition that celebrates the best in Digital Marketing in the US. Each year the awards attract hundreds of entries from leading search and digital agencies and professionals from across North America and beyond. All categories are judged by an influential and respected international judging panel. The award comes on the heels of making the shortlist for 2017’s Best Small Integrated Agency and 2017’s Best Mobile Campaign. We are grateful for the honor and are lucky to have amazing clients, coworkers, and the opportunity to represent Minnesota on a national stage. 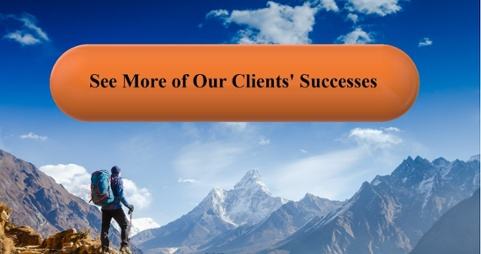 Over the last year we have been fortunate to continue seeing great success for our clients. Innovation and revelations start with our people, so we have made it our priority to hire talented, hungry practitioners with a high acumen for collaboration. Our Human Resource personnel and Directors have invested significant time and resources over the last year to create a unique work habitat that challenges the industry standard, proactively encouraging brainstorming within and among departments. Gruen Agency’s mission and vision statement is as follows: Fueling ambition through digital marketing innovation: designating meaningful objectives with actualization by shrewd execution. We believe that what we do is bigger than marketing; our goal is to provide the necessary propellant of leads and customers for companies to thrive and see their vision actualize. Every future success originates with the present cultivation of ability and confidence for individuals on our team. Titles and departments, though necessary, are conceptually too rigid. we encourage cross-department brainstorming by scattering all departments throughout our “fishbowl” workplace, and regularly reconfiguring seating. Teams for each client regularly meet to discuss strategy, struggles and holistic solutions rather than segmenting issues by department. We have found this to be very successful for our clients as it simultaneously builds relationships and acumen internally. For example, one client, a regional pest control company, came to us having no trouble earning repeat business in Minnesota from loyal customers; the challenge was obtaining new business from people looking for the service, not the brand. Geotarget campaigns specific to the vast service areas throughout Minnesota and Madison, Wisconsin. Convert at the customers’ moment of need via phone call. Our work with Web Design, SEO, SERP, Social, and in particular mobile Call Only campaigns lead to a YoY 28% increase in Organic Traffic, 94% increase in leads, 28% decrease in cost per acquisition, and 74% increase in ROI after increasing ad spend by 37%. Conversions consistently rose over the same period from 112 in the month of December to 351 in June. Over the last year our team has fused teamwork, creativity, and implementation for results that exceeded our clients’ expectations. More importantly, we really believe that we have hit our stride as a company in creating a unique and enjoyable culture that is designed to improve everyone’s abilities and quality of life. Our success from the last year is a testament to the great opportunities that this industry presents when executed with passion. Check out our Awards page for other recent awards. Thanks to all of our clients, teams, and friends who have made us the company we are today– we look forward to fueling your ambition for years to come!